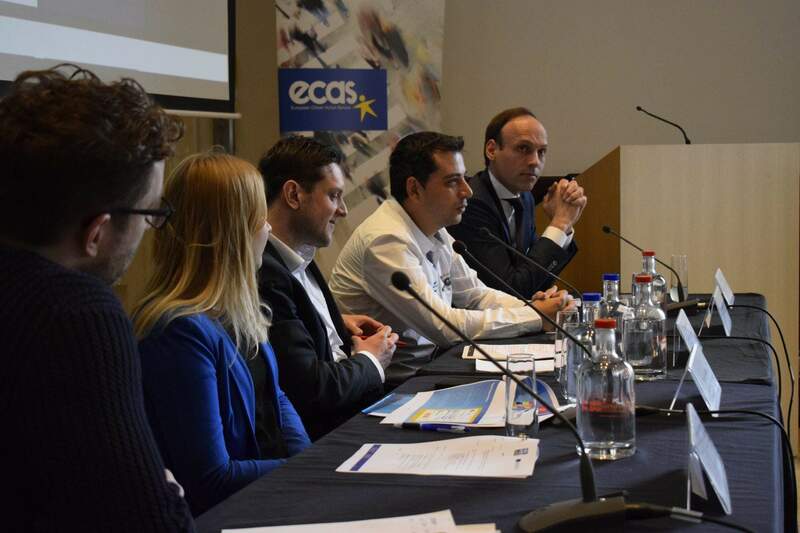 Triple A for Citizens is a project led by ECAS and implemented in partnership with 10 civil society organisations from across Europe since 2012. The project is about empowering civil society organisations to help citizens to exercise their rights through the provision of information, advice and free legal aid. The project is funded by the European Commission’s Partnership programme for Civil Society Organisations. 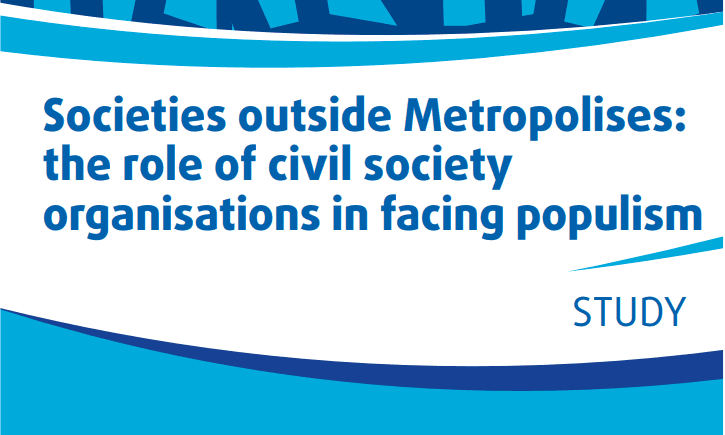 ECAS has been invited by the European Commission (DG NEAR) and TACSO (Technical Assistance for Civil Society Organisations) to present the main results and achievements of this project at the closing event of the Framework Partnership Agreements (FPAs), which will take place on 11 November in Skopje (Macedonia). Another 80 representatives from civil society organisations funded under this scheme have also been invited to the event to showcase the results and lessons learned from their projects. The event will also be attended by TACSO staff, representatives of the governments of the Western Balkan countries and Turkey, EU staffers from DG NEAR and representatives from the EU Delegation in the Former Yugoslav Republic of Macedonia (FYROM). 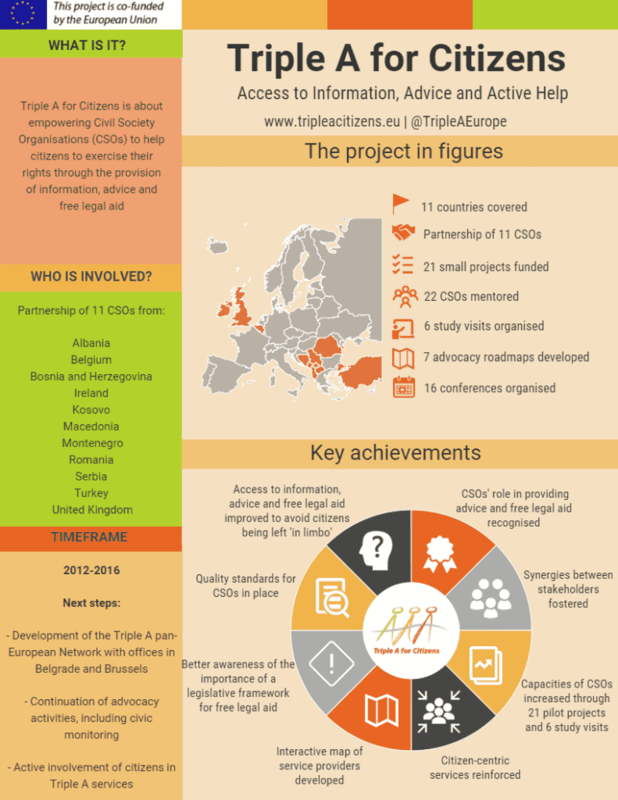 Check out the infographic we have prepared to summarise the project’s main achievements, which will be presented at the conference in Skopje.